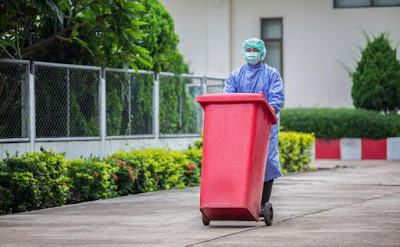 The waste hauler for infamous late-term abortionist LeRoy Carhart has attempted to defend its gruesome work by asserting that it disposes of the bodies of aborted babies in a “reverent and respectful way” that includes quasi-religions ceremonies. In a voicemail recording “to all who are concerned,” Bio-Haz Solutions CEO David Henritzy said that no other company does what his does “for the lost souls” of the aborted babies it hauls away. The drivers carry holy water and the Bible, he said, and place crosses on the medical waste containers with aborted children. Click here for much more from Life Site News.